"I don’t believe in the right or wrong way to present. I believe you can get away with anything once you project confidence and assurance." I have always enjoyed working with my own teams on perfecting their presentation skills. I have discovered over the years, that for account handlers and media planners the most important first step is not about content but about confidence. This morning’s training module is something I have used to great effect in the past and so I’m very happy to share this with IAPI members for the first time. You will learn about your own unique style, how to use this to your advantage and hopefully leave with greater confidence about any future presentations you need to make. There will be a bit of prep work for you to do but nothing too onerous and don’t forget, it’s all designed for you to have fun on the day! This morning’s training session is FREE for IAPI members and will be restricted to 8 individuals per morning so book now to avoid disappointment. Charley is one of Ireland’s leading figures in the marketing community. 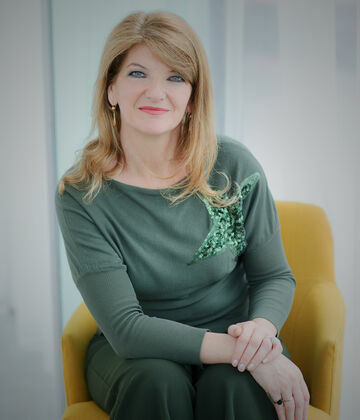 Prior to taking up her appointment as CEO of IAPI, Charley spent four years as Managing Director of Alternatives, Ireland’s No.1 marketing talent solutions agency, and before that, she was Managing Director of leading field marketing agency, FMI Ltd, for six years, trebling the size of their business despite the recession. Her 25-year career to date has been spent predominantly in marketing agencies both in the UK and Ireland. She learnt her craft in Target Marketing before moving to the UK and after nearly a decade there, she returned to Ireland in 2003, to join McConnells Advertising where she founded and became Managing Director of McConnells Fusion.